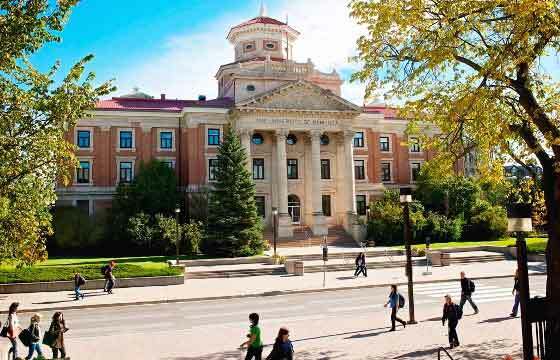 Steeped in tradition and excellence that stems back 131 years, the University of Manitoba has grown to be the largest and most recognized post-secondary government supported educational institution in the province. Located in the heart of the country, it is western Canada's first university. To create, preserve and communicate knowledge, and thereby, contribute to the cultural, social and economic well-being of the people of Manitoba, Canada and the world. 8.5% of students are international, representing close to 100 countries. With over 100 student groups and recreation clubs, co-op work opportunities, travel exchange programs, and community service projects at home and abroad, the University of Manitoba offers you more ways to connect, develop leadership skills, and expand your awareness and understanding of this world we all share. The university consists of a main Fort Garry Campus, spanning over 676 acres, a downtown Bannatyne Campus, adjacent to Winnipeg's Health Sciences Centre, and many other smaller satellite locations. There are 13.7 km of roads, 7,090 parking spaces, and 1,266 residence rooms for students. Located at the heart of the Fort Garry Campus, the Duckworth Quadrangle is one of the great places to meet, socialize and enjoy campus life.